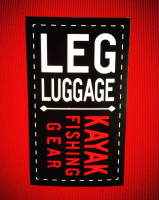 Leg Luggage was developed to assist in keeping your essential fishing tools organized and secured while kayak fishing. 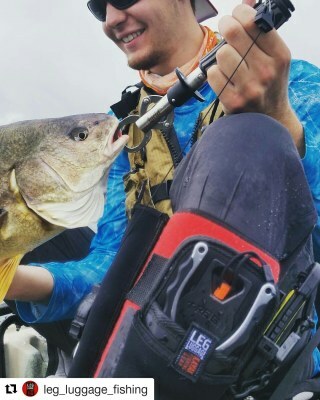 When you have a "FISH ON"! 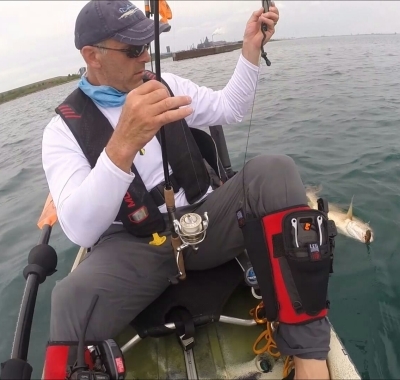 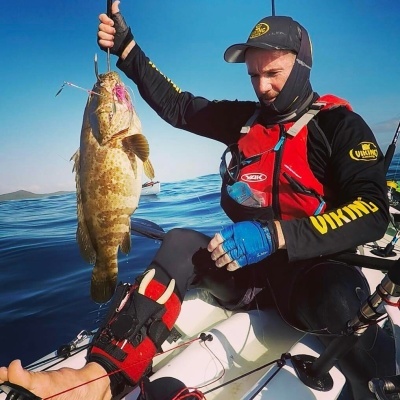 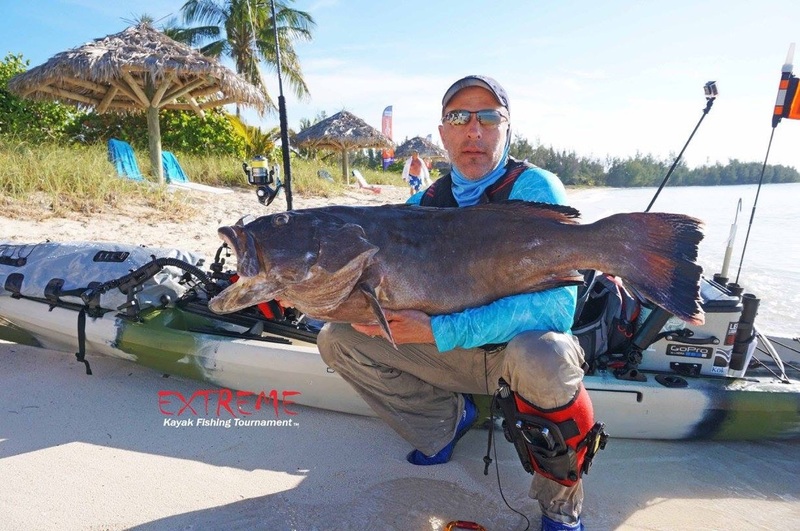 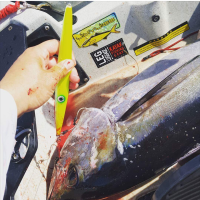 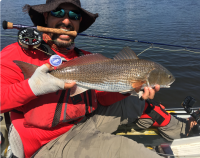 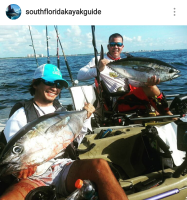 time should be spent concentrating on the fight not searching in a pocket or on the deck of your kayak for a tool required to land your fish. 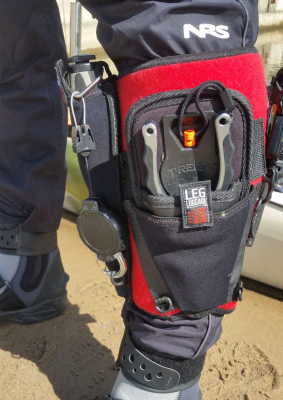 The main leg wrap is made of Velcro adaptable Neoprene that accepts any of the Leg Luggage accessories. 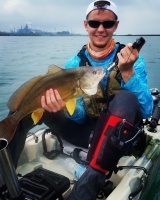 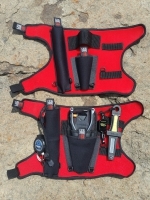 All you need to do is position the main wrap around your calf set your fishing tools where comfortable then fish. 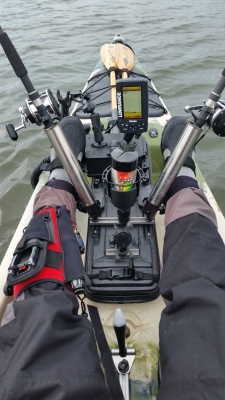 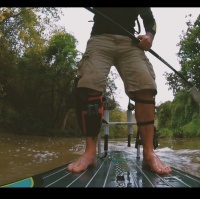 The ability to position your tools allows for Leg Luggage to be used in all styles of kayaks.